Have a Very Poppy Christmas!! For those of you who follow my instagram account, I shared a little teaser photo back in August of these holiday photos. I decided to do a shoot of a few of my favorite things. 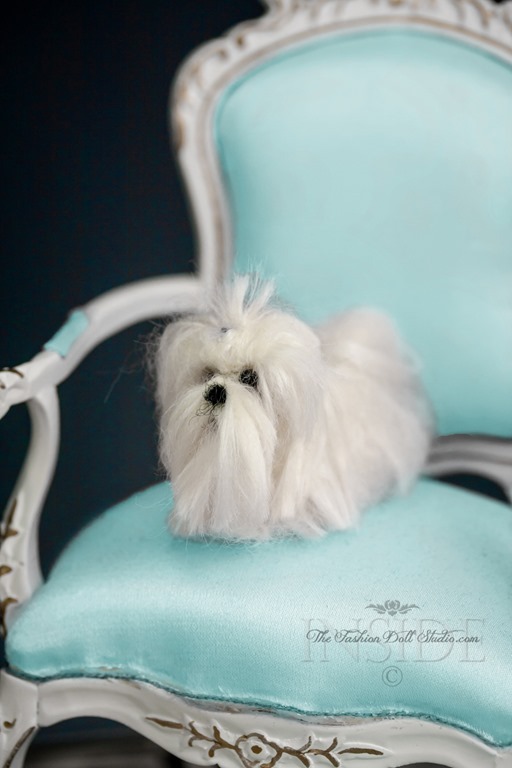 1) Poppy Parker 2) That gorgeous Tiffany Blue color 3) 1/6 French furniture and 4) All things Christmas. And here is the result of that shoot. Set is comprised of furniture I ordered from China, lamp and boxes were handmade and white feather tree was purchased at Target. 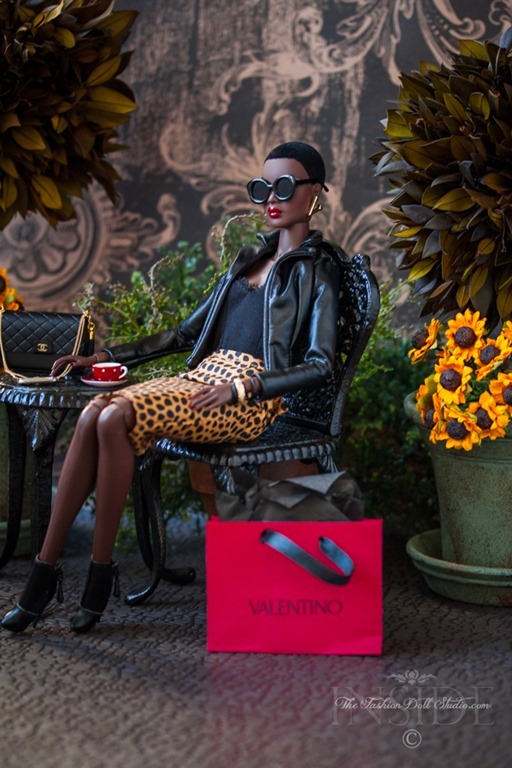 Milan fashion week wrapped up day before yesterday and I was inspired by the Instagram feeds. 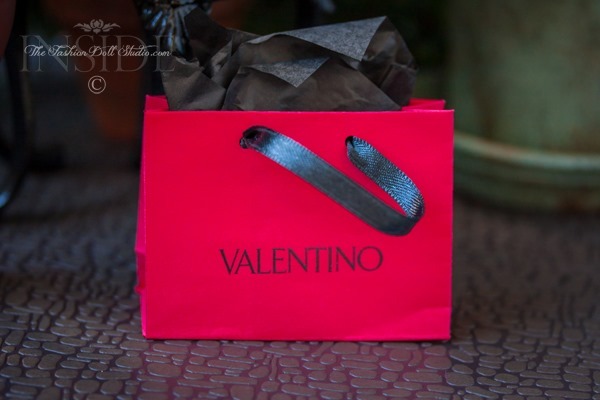 I posted a photo of an outfit I felt would have worked at Milan fashion week and brought in the colors of the season. The next step was to find a model to put it on and shoot. Chanel purse is DollhouseAra on Etsy . 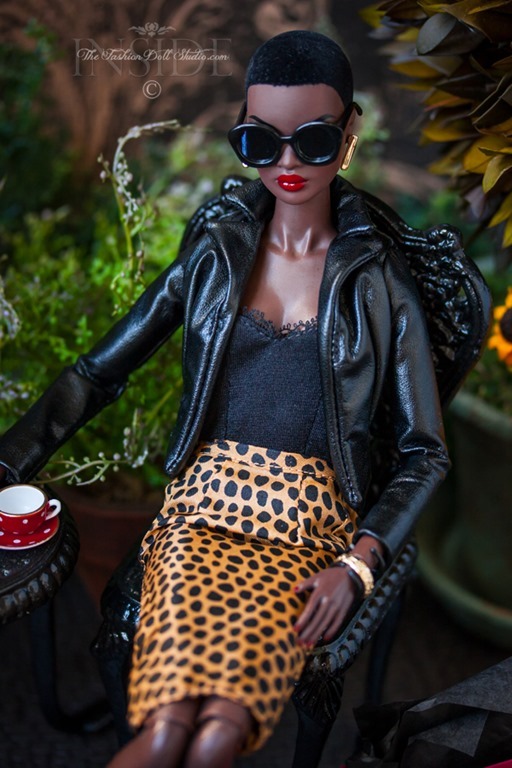 Outfit is Barbie Look Urban Jungle. Many of you may have already figured out that I have started posting preliminary images on Instagram of upcoming outfits or behind the scene things. I am also sharing on Instagram stories. 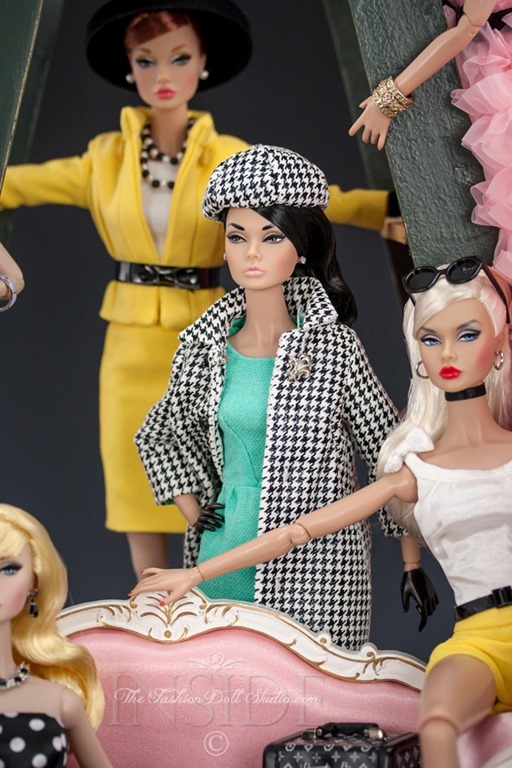 The stories will include some videos of the doll room and new diorama or display items. If you are on Instagram, come and join the fun. Follow me to see the stories. This years theme for the Poppy Parker collection by David Buttry hit a chord with many collectors. I know it hit this collector right in the wallet. I absolutely adored it and can’t wait to see what David has in store for us Poppy collectors at the Integrity Toys convention in October. While we wait for convention, I thought it would be fun to get a group shot of the Poppys we have enjoyed so far this year. Since Poppy is in Paris, I drew inspiration from one of the most iconic Parisian fashion houses of all time…Dior. Ok..I have to admit the title was for all you “Dune” geeks out there LOL! This line may be from the book and movie “Dune” but we have a bit of a sleeper situation going on in the Poppy Parker Bon Bon collection. 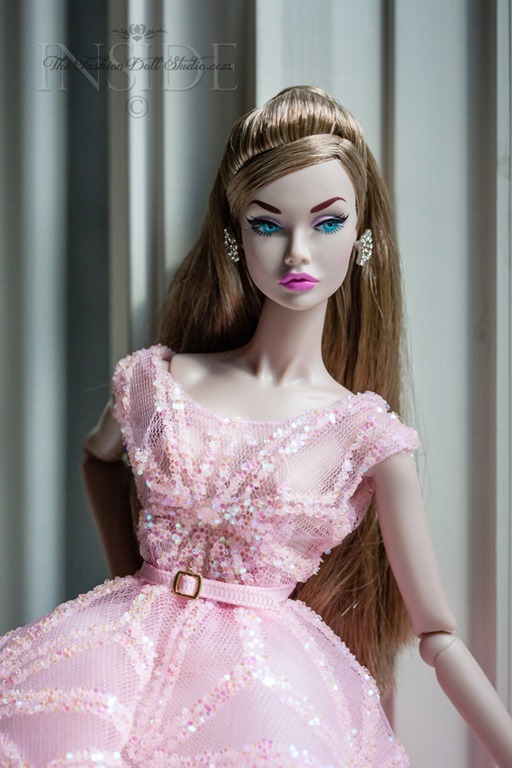 Her name is Night at the Ballet Poppy Parker and she has turned out WAY better than the promo shots. Not bad but I have to admit…she was my least favorite in the whole lineup and I almost didn’t order her. Boy oh boy am I glad I did because this is what arrived on Saturday. Check out the gorgeous green eyes on this lady! 1) The hair on my doll needed a little tweaking after I took the hair net off. It didn’t take too much to put it all back in order. 2) The necklace is just gold, no stones. This seems kind of weird to me as the bracelet has beautiful blue stones in it but there you go. It looks like it should have a few stones in the necklace or it looks like there was space for it but there aren’t any. Don’t know if this is an oversight or just a last minute budget cut but a number of people have commented on FB that they don’t have any stones in their necklaces either so I don’t think it’s just me. The promo shots of the accessories don’t really show the necklace that well so it may have been intended to be just plain gold all the way along. Just wanted to make people aware. Huge thanks to my dealer Barb at Windy City Dolls for getting these new Poppy’s to me so quickly!! You are the best. Let the redressing and photographing begin!!! And not looking like it was going to change any time soon. So what do you do? 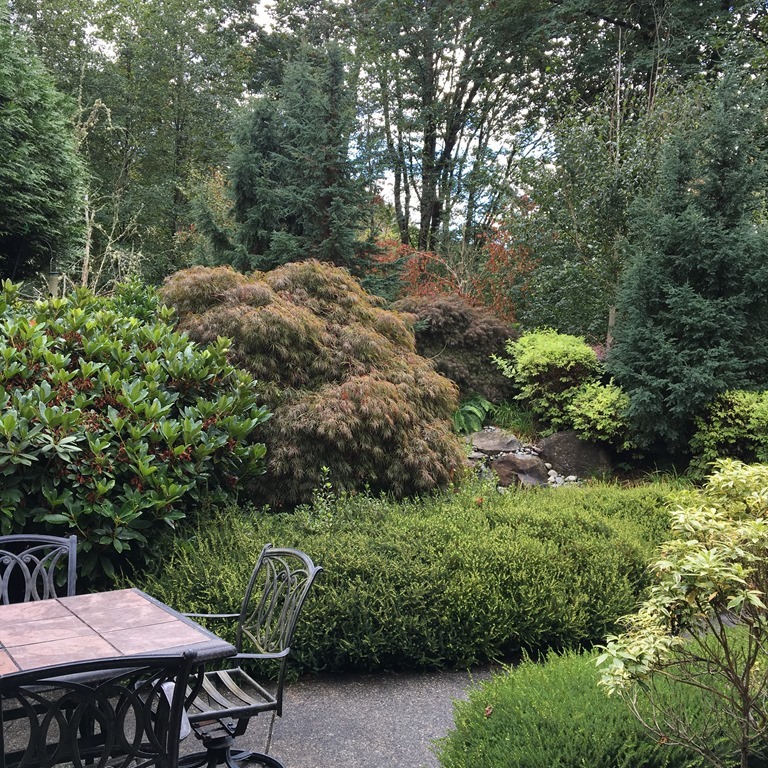 You change your shoot location and make the best of it. So this is the rain part of the title so where is the singing? 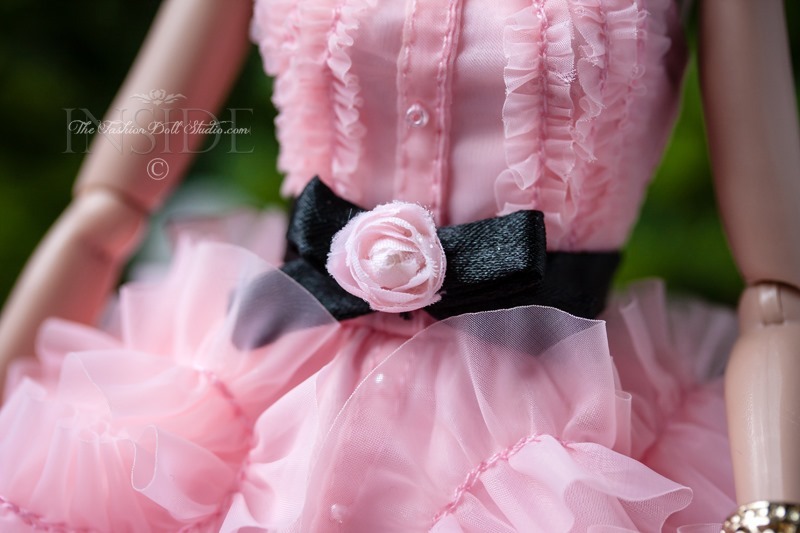 Have you ever had that moment when you dressed a doll in something and it just “sang”? You know what I mean right? It just makes you go “ Oh man…that looks so amazing on her!” I had that happen this week and while my first choice for background did not pan out, I found a couple alternate solutions that worked out just fine. I was still singing even though it was raining. This gown is gorgeous! Very well made and tailored. It arrived quickly and well packaged. Love this vendor on Etsy and have purchased a number of things from them. Ok, I have to explain the title a bit. As you all know, I am a huge fan of Poppy Parker and her creator David Buttry. 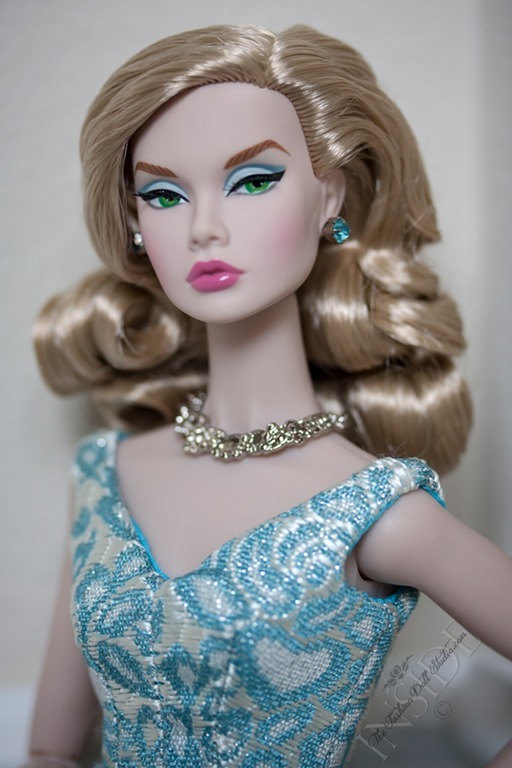 For me, she was the gateway drug from Barbie to Integrity Toys. I realize I need a 12 step program for my addiction but I’m not ready to commit to the program just yet. 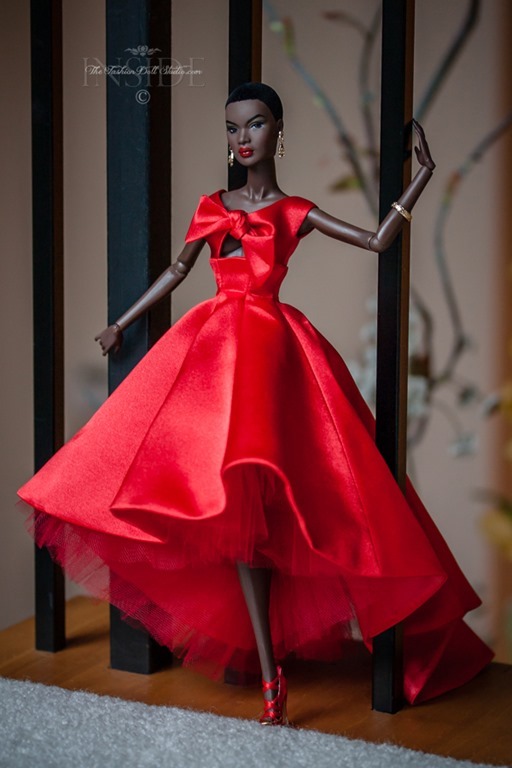 Recently, Integrity Toys held a lottery to purchase two beautiful Poppy Parkers and I was lucky and incredibly thrilled to be picked to purchase not just Miss Amour but the fabulous Powder Puff Poppy Parker as well. I have to thank my daughter for the opportunity as it was her membership that won it and she willingly handed over the option to purchase. Collectors are receiving these dolls and posting some amazing images. This doll is so sweet. Mostly she is portrayed as “nice” and I like it that way. For these images, however, I decided to portray her in a slightly different way. 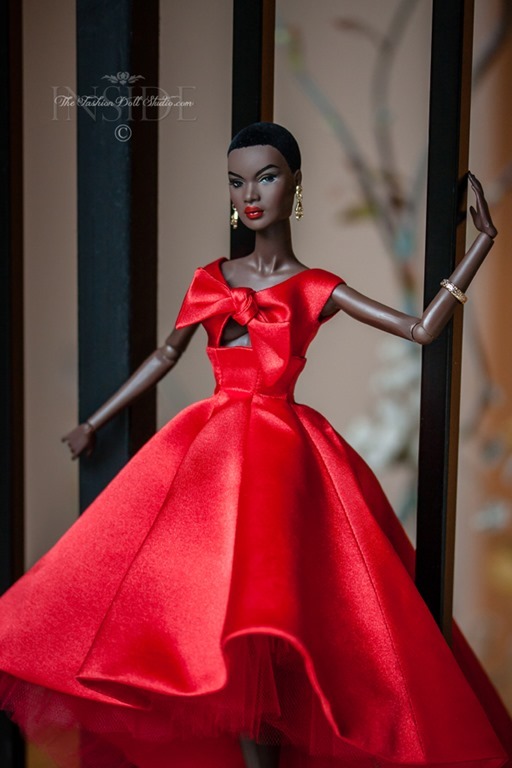 David Buttry had mentioned in his webinar announcing the Bon Bon Collection that one of his inspirations for this particular doll was the movie “Valley of the Dolls”. I decided to go a little more with that theme. So Poppy comes off as a bit more on the naughty side in these pictures. I want to point out however..that Chip has appeared to have “put a ring on it” at least. Emerging Rebel Kyori – Will The Eyes Have It? 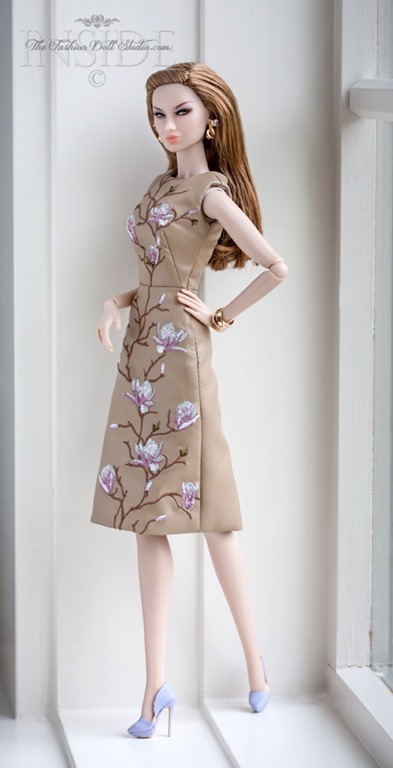 The first doll of Integrity Toys’ Fashion Royalty “A Delicate Bloom” Collection is starting to hit collectors’ doorsteps. 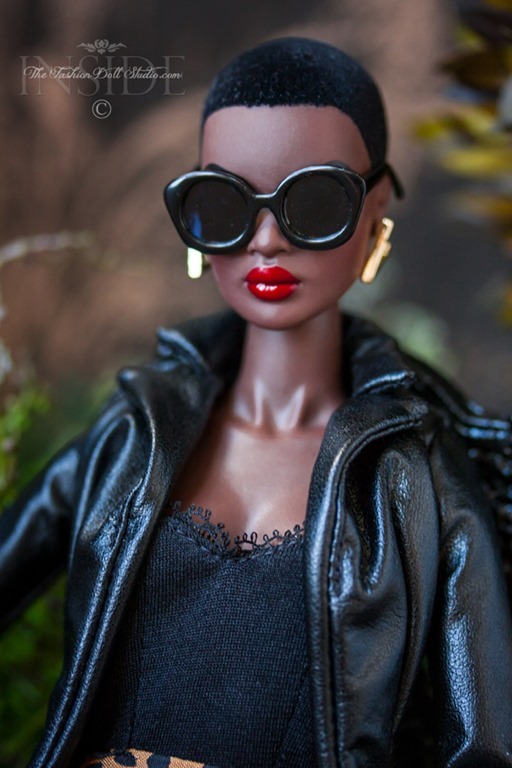 Her name is Emerging Rebel Kyori and true to her name she is entering the collecting world with some controversy. 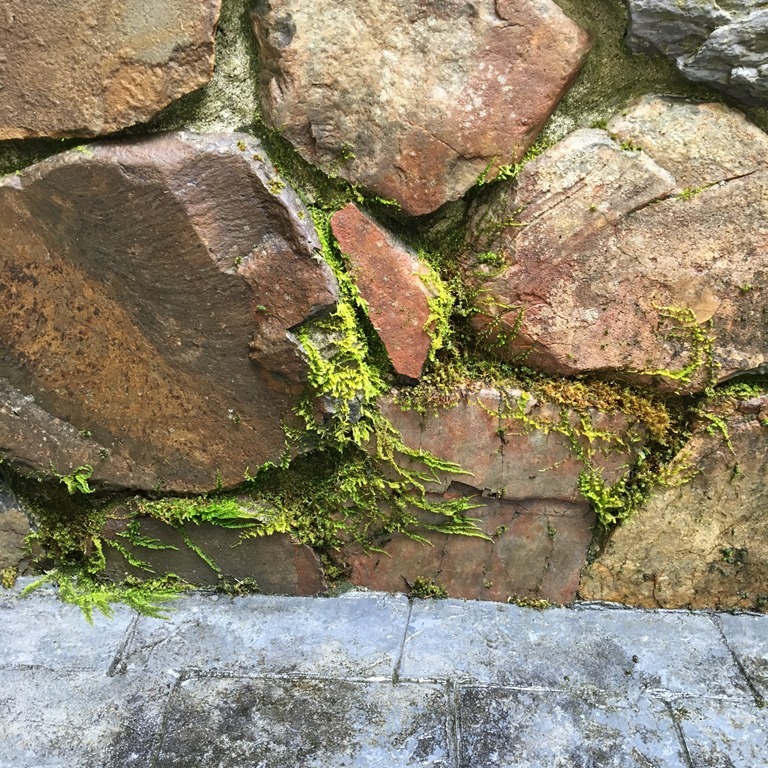 The title of this blog post is kind of a play on words. When you vote to pass a measure for something the verbiage is always, “Those in favor say ‘AYE’“ and if there are more yes’s than no’s the motion passes or “The Aye’s have it.” There is a current issue being voted on by collectors of Integrity Toys and it’s all about the eyes. Let me explain: Integrity Toys is trying out a new process with the eyes on some of their dolls. Instead of painting the inner eyes (outline, white, iris, pupils and "catch light" dots) they are using water decals. Per IT, the reasoning for going to these decals was to offer more consistency in eye placement and facial screening. (Too many “wonky eye” issues with the previously used methods.) Some collectors are concerned about the durability and quality of these decals. Given all the concerns, I was curious to see for myself if there were negative aspects to these decals from an aesthetic perspective as well as a photography perspective. I was concerned as to whether or not these decals would make the eyes appear more “dead” in a photograph. 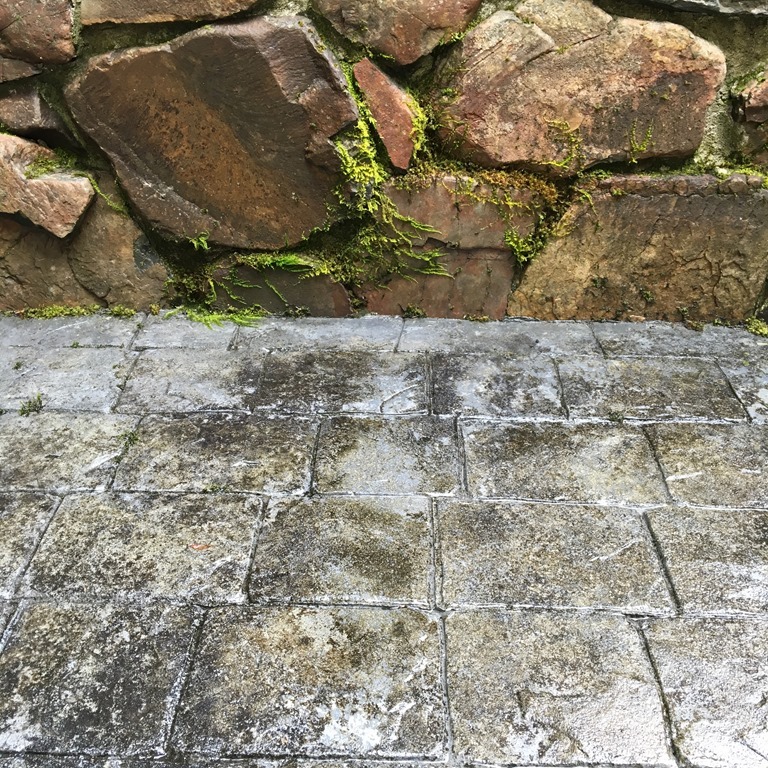 If something is too matte, it won’t reflect light effectively and gives off a dead appearance. On the other side, if something is too shiny (especially the eyes) it can create too much of a reflection that you have to clean up in Photoshop afterwards… and… that is a big pain in the back side, believe me. Who wants to spend hours in post-process just because of shiny eyes? Not me. So… I was curious to see what would happen when I photographed one of these dolls with these decal eyes. What did I find? 1. From an aesthetic aspect… just looking at her… I wasn’t noticing anything concerning. Her screening is appealing and I think she is a pretty doll. The eyes don’t stand out as odd or off in any way. She does have a very far “to the side” eyeball placement and some are finding that fact unappealing. I can understand this. That doesn’t work for everyone. 2. From a photography stand point… there are some differences. First and foremost, the eyeball is printed not painted so there are dots of color not continuous color. Is this a problem? Not normally in my opinion. As you see this image on your computer screen or phone, you are seeing it as dots of color as well — they are just really, really small dots. 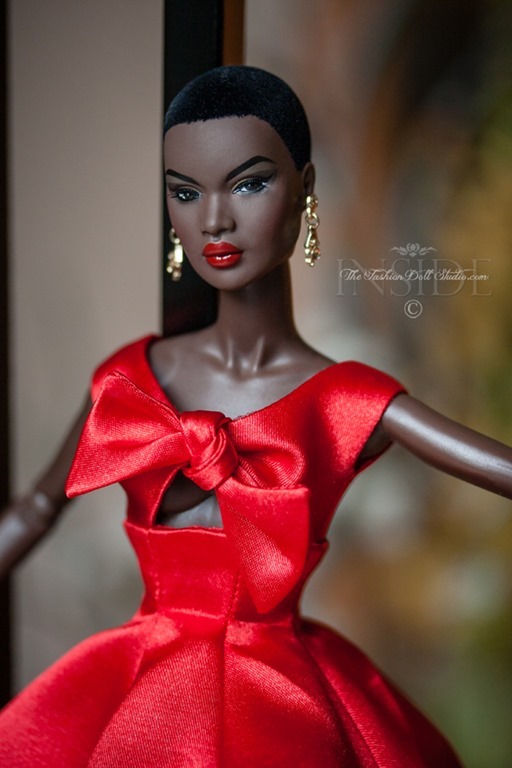 Let’s face it, most of us are not going to be looking at this doll under a microscope. Can you see the dots in the picture above? Maybe a little but not much. Our eyes and brains are really good at melding those dots together to make it look like one cohesive color. Secondly, I’m not going to lie — these decals catch the light differently, so when photographing, that needs to be factored in. Is this a deal breaker? For me, not really. It’s just something different. Now, as to whether these decals will hold up over time… only time will tell that one. For now, I am willing to give them a chance. For now, I’m voting “aye”. Enough about the eyes — let’s talk about the accessories and dress! I love this dress!!! It is so elegant and fits her beautifully. The lavender shoes are perfection and the grey glasses and oversized bag are refined and chic. I don’t know who is taking over jewelry at IT but all I can say is, “Keep it going! 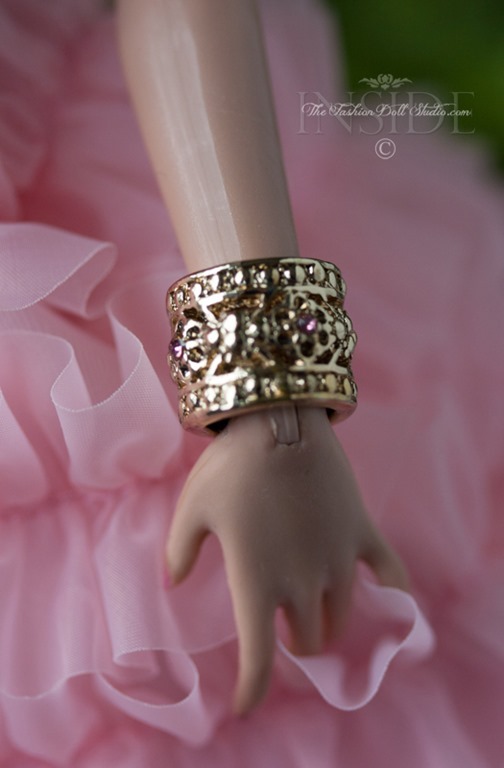 !” The earrings and bracelet are a new design and I adore them. Kyori’s hair color was described as medium brown in product write-ups. Have we seen Kyori with these lighter brown tresses before? I like it. 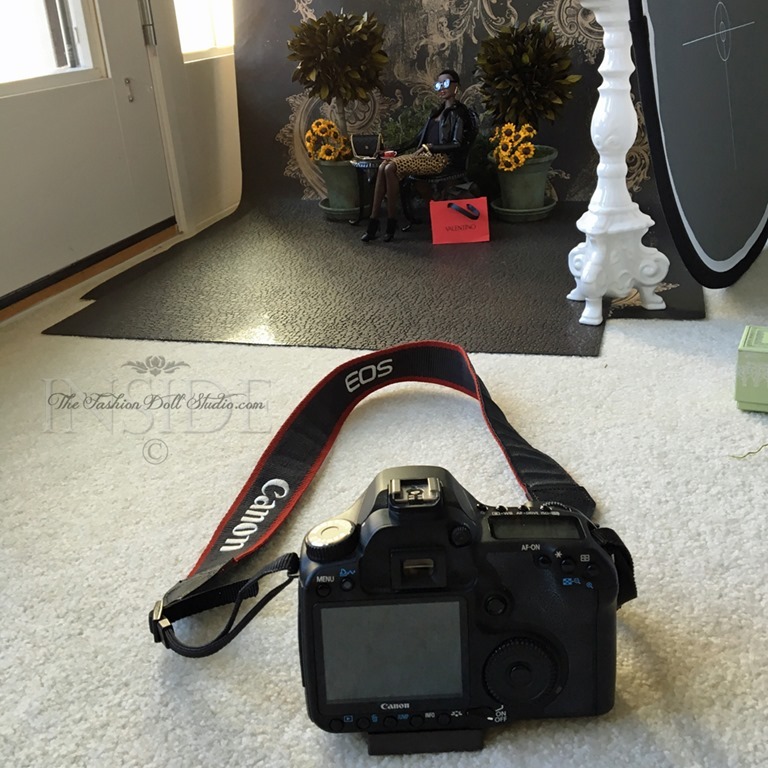 For those of you awaiting the next installment of “The Art of Fashion Doll Photography and Blogging”, it’s coming. Most likely tomorrow. I forgot to factor in that we were running our son to college ( 5 hours away) this past week so that cut into the available time I had. Fear not…it’s in process for publication in the next couple of days. This also explains why I have not responded to comments in a week. I will be getting to those as well. In the meantime, I have been sitting on these shots since the initial posting of “J’Adore Miss Amour” and I can wait no longer. 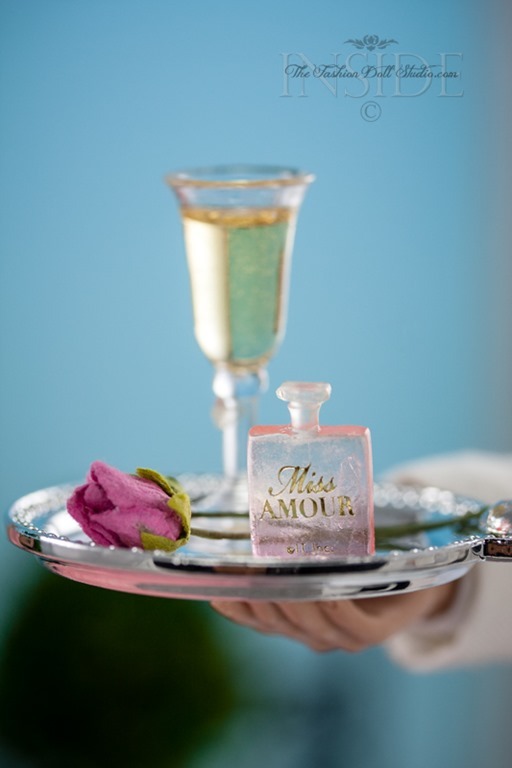 These shots came about because 1) I can’t get enough of this pink confection Miss Amour and 2) I had these fun pink balloons and had to use them and 3) I didn’t get a chance to include the adorable little perfume bottle in the last set of shots. Now…is she looking at the tray like “I love this perfume and I need to use some” or is she saying “This shoot is boring…I need a drink!” You make the call. P.S. 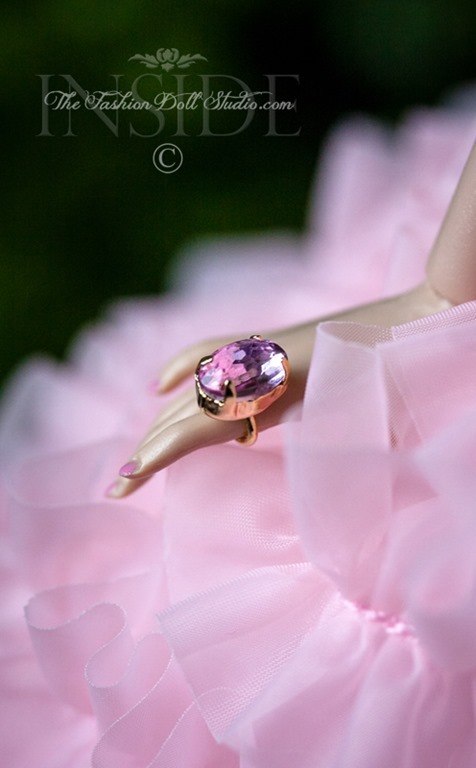 I have to send a shout out to my friend Rogier at Dutch Barbie World for a little bit of art direction on this one. You were right and It was much appreciated! And..that has not changed upon receiving her. She is EVERYTHING I was hoping for and more. David, I bow down! This amazing creature is gorgeous. The dress is beyond people…just…BEYOND. 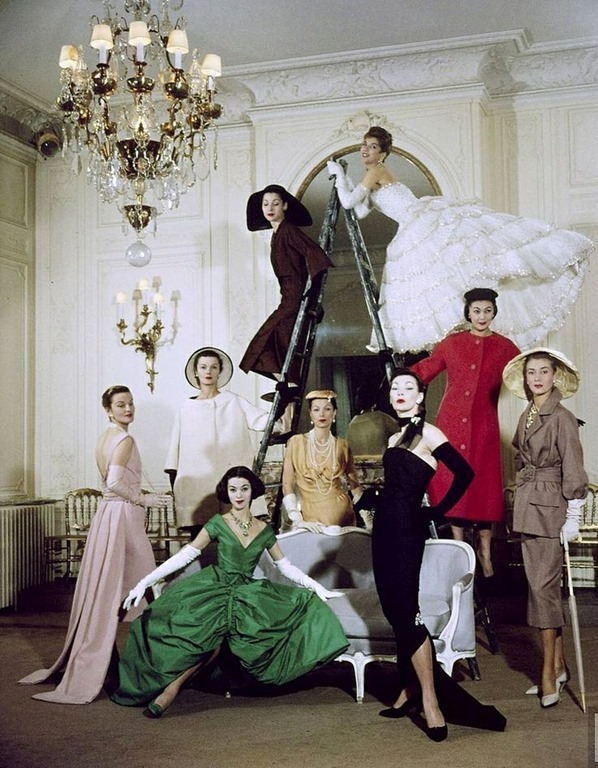 It’s inspired by Dior I and many believe, what is not to love about that. Fashion inspiration image find goes to Nata-Leto on Flickr. 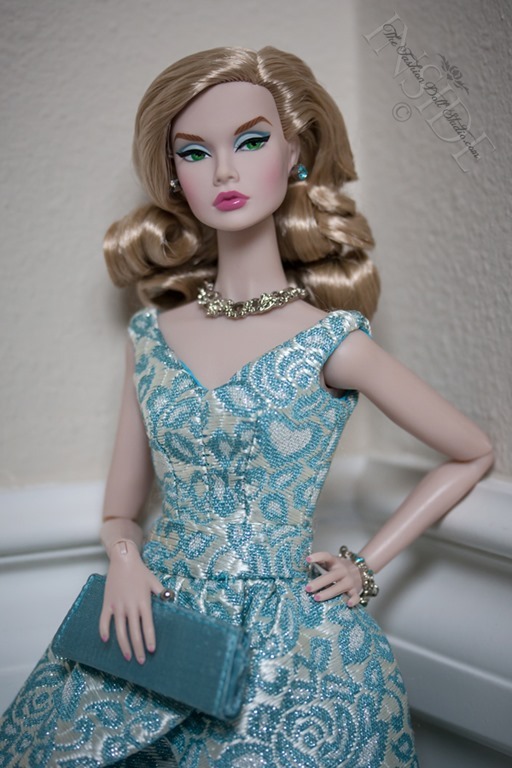 Big THANKS to Rogier Corbeau of Dutch Barbie World for letting me use this image. Me likey! !….Me likey a lot!!! !